Discussion on global public health is just incomplete without the mention of Tuberculosis. This dreaded disease has proved to be far too detrimental to the well-being of individuals, especially in developing country like India. Treatment for Tuberculosis is a long-term process and sometimes too expensive as well. Life for a Tuberculosis patient comes to standstill as they are restricted to their beds almost the entire time. 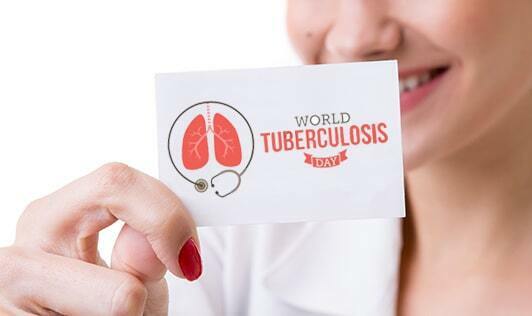 It is up to us to spread awareness about Tuberculosis and teach the importance of getting screened early. Tuberculosis is an infection caused by bacteria (mycobacterium tuberculosis) that most often affects the lungs. Pulmonary TB is the only form of disease that is infectious. When a person with pulmonary TB coughs, sneezes or spits, he releases the bacteria into the air and spreads the disease. Anyone can be affected by TB, however certain factors like poor nutrition, unhygienic living conditions and compromised immune system increase the risk. Rapid Loss of Weight: Losing weight is of big concern as it may camouflage with the symptoms of HIV. Tumors accompany weight loss caused due to TB and one should get screened for detection. Extreme Fatigue: Losing the inclination for doing anything and find working almost impossible. What if you don’t get proper treatment? TB, if not cured properly may relapse into Sarcoidosis and if it repeats the third time, it results in Multi Drug Resistant-TB (MDR-TB), which is incurable. So, it is important to keep yourself and your family prepared and equipped to fight the disease in order to lead a healthier and happier life.